Dr. Barrett grew up in West Virginia but became a "Carolina Girl" before graduating high school. Growing up in West Virginia, she fostered a love of animals early in life with a multitude of family pets. After high school she started working as a kennel assistant in a veterinary hospital, this is where her love of animals sparked her interest in veterinary medicine. 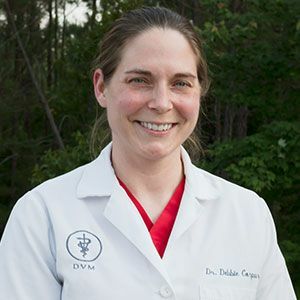 Dr Barrett attended North Carolina State University for both her Bachelor’s of Science and Zoology and her Doctorate of Veterinary Medicine. Her professional interests are preventative, internal, and emergency medicine. Dr. Barrett is a "dog person" and loves any dog that is huge and fluffy! She shares her home with her husband, David, their son, Colt and their dog Kia. 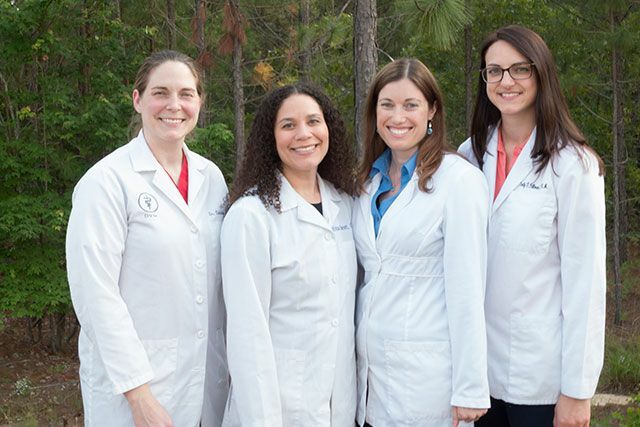 In her spare time Dr. Barrett enjoys spending time with her family and watching football. Dr. Corpuz was born in California but moved to North Carolina early in life. As a child, she had an interest in all things horsey that quickly encompassed all animals. This interest matured into a concern for their well being and she decided to pursue a veterinary career. Dr. Corpuz's professional interests include surgery, as well as, internal and emergency medicine. She lives with her husband Eric, daughter Jaden and Emma, and her 2 German Shepherds, 2 French Bulldogs, cat, and 13 koi. Dr. Kang is originally from Oregon, however, she has since moved to North Carolina from Washington State as her husband is now stationed at Fort Bragg. Her love of animals began as a child and blossomed into a passion for their wellbeing as she grew older. Having practiced veterinary medicine as a vet tech prior to becoming a Veterinarian, the drive to help animals powered Dr. Kang through Washington State University College of Veterinary Medicine from where she received her Doctorate's. Dr. Kang and her husband share their home with an Alaskan Malamute named Talulah. When she is not helping heal our beloved companions, Dr. Kang enjoys exploring all that North Carolina has to offer from hiking, surfing, kayaking, and fishing. 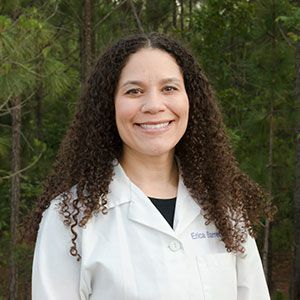 Dr. Jones moved to North Carolina from Virginia after her husband was stationed at Fort Bragg. 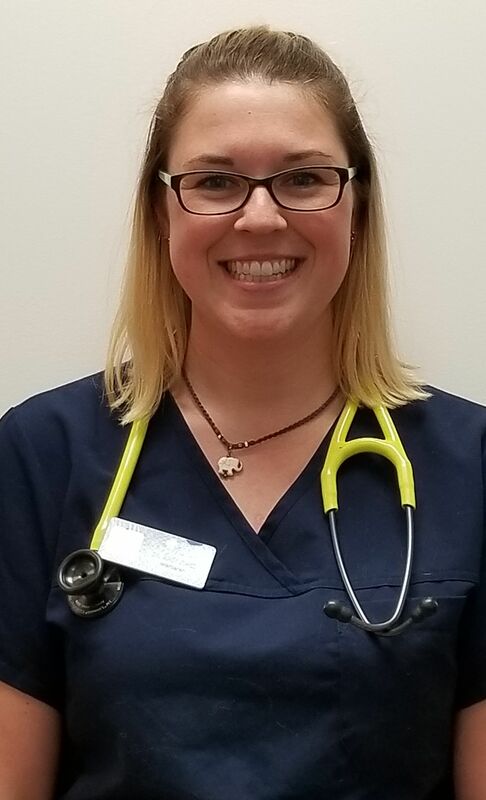 Her desire to be the voice for animals in need inspired her to pursue a career in veterinary medicine, so that same passion could be used to educate pet owners so that they can be the best pet parent possible -- she also immensely enjoys watching her patients grow and become a part of their families. 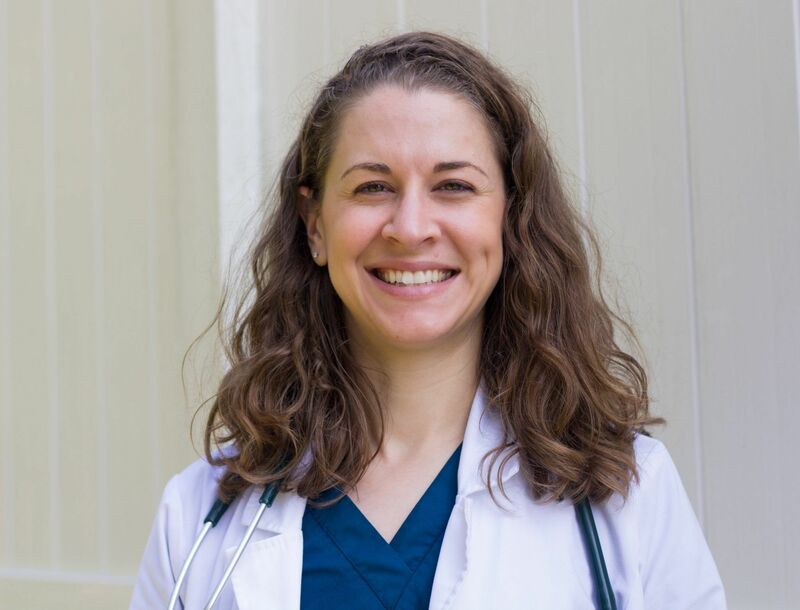 Dr. Jones attended Sweet Briar College where she majored in Biology and minored in Chemistry, from there she received her Doctorate's from Virginia-Maryland College of Veterinary Medicine. Dr. Jones, her husband, and their son share their home with five dogs, including two new additions named Fynn and Sawyer. Aside from veterinary medicine, her other passions include time spent with her family, hiking, going to wineries, and exploring new places.